Order in the next 8 hours 58 minutes and your package will ship on Friday, April 19. Total Carat Weight – 1/3 ct. tw. 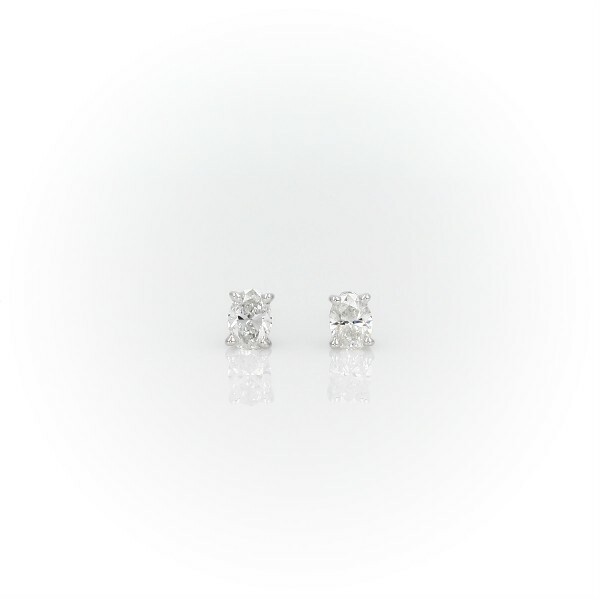 Classic and beautifully matched, these diamond stud earrings feature oval, near-colorless diamonds set in 14k white gold four-prong settings with double-notched friction posts. Each earring weighs roughly 1/6 carat, for a total diamond weight of 1/3 carat.